“It’s science at its best, an all-electric sports car. 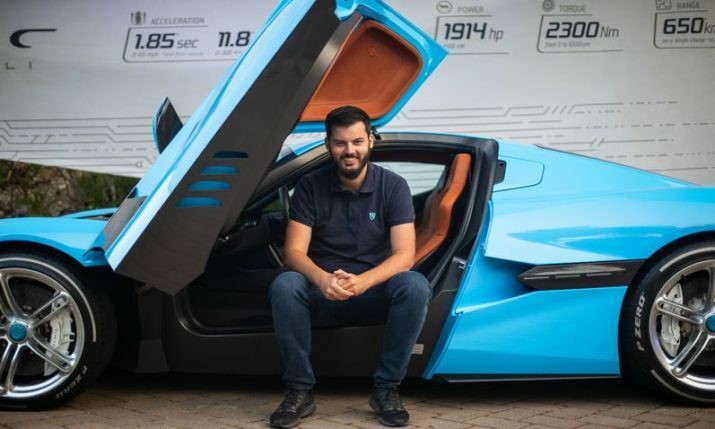 The Concept One from little known Croatian auto maker Mate Rimac is the world’s first electric super car. The car has already won innovative awards. The battery-powered vehicle boasts more than 1,000 Hp and reaches a top speed of 190 Mph. Only 88 are expected to be sold worldwide in 2013,” is what Bloomberg said when summing up the Croatian invention earlier this year. Now there is a chance to see the car in action as it takes on one of the best Ferrari’s ever produced, the Ferrari 458 Spider in Dubai recently. Check out the results.